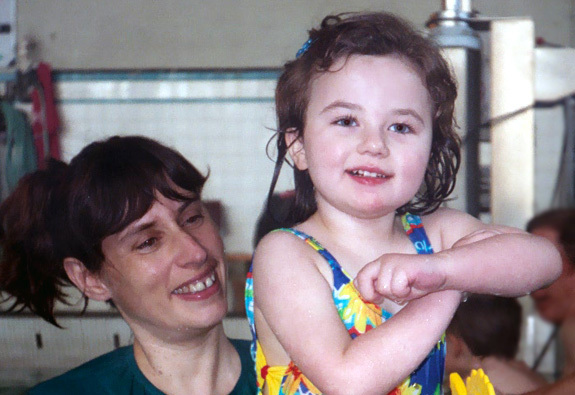 What is the Special Needs Aquatic Program (SNAP)? 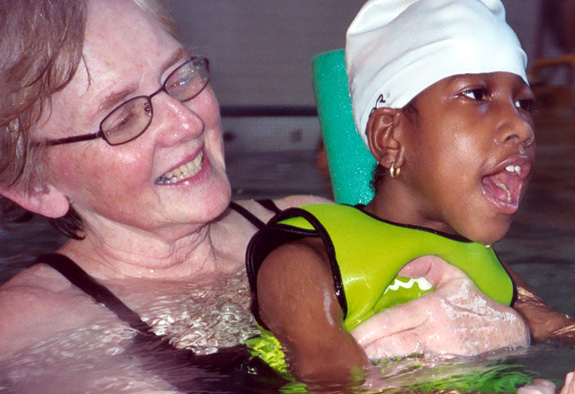 SNAP is UCP’s motor development program in the water for children with a variety of abilities and challenges. SNAP strives to help kids with special needs feel pride and self-confidence while helping them build stronger bodies, make friends, and have fun. Programs are tailored to meet the needs of each child. We work on areas such as: strengthening, coordination, flexibility, motor learning, walking, reaching, rolling, breath/speech control, following directions, social skills, and communication. Our approach is holistic and designed to bring out a child’s strengths with an emphasis on motor development. We stress fun, fitness, and independence in a supportive, non-competitive environment. View a slideshow of pictures from UCP’s Special Needs Aquatic Program. The properties of water can help improve a person’s cardiovascular and respiratory fitness, flexibility, strength, balance, coordination, body scheme, and sense of self. Many children gain increased independence as they learn and/or practice how to walk, talk, reach, roll, jump, and swim. Children are motivated to exercise, plus SNAP is a great social outlet. It’s a magical time for everyone! SNAP serves children 1-18 years old. Children often have diagnoses such as: cerebral palsy, spina bifida, SMA, arthritis, developmental delay, sensory integration disorder, and autistic spectrum disorder. While SNAP accepts children with a variety of abilities and needs, priority is given to children with physical challenges. Palo Alto, our classes are held at the Palo Alto Family YMCA on Fridays from 4:15pm and 5:00pm. Evaluations and Consultations: In-water evaluations are provided for each swimmer prior to enrollment. 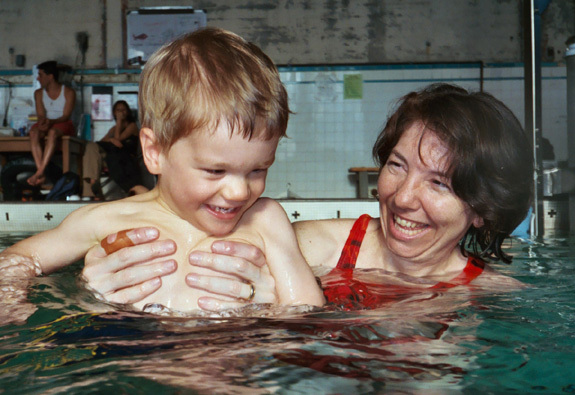 Consultations are available for families and care providers to learn in-water techniques that enhance their child’s development. Professional consultations and workshops are also available. Parent Tot: This class is designed for children 1-4 years old and their parent(s). Instructors help parents engage their young children in fun and beneficial activities which encourage physical, sensory, language, and social development. We highlight the beauty of each child and help foster the special bond between parent and child. School Age Children: Children are grouped by age to encourage social opportunities and age appropriate activities. Children work on flexibility, strength, coordination, following directions, developmental swimming skills, and social skills as needed. Children work individually and in a group during each session. Pre-Teens and Teens: Children in this age group often have personal goals for their fitness programs. We work to develop independent aquatic skills, strength, and endurance, and provide opportunities for aquatic games, team work, social skills, and group activities. Do you love to play with children? Do you love to play in the water? Then SNAP may be a great match for you! To get more information or to fill out an application, please go to our SNAP volunteer page or to the links for Berkeley and Palo Alto below. SNAP classes are paid for by the semester. The average cost is $15-$20 per class. Please check the class fee information for each location in the links below. SNAP offers scholarships to children and families with financial needs. If you are interested, please complete the “Apply for a Scholarship Form” in the links below. Dori Maxon, PT, PCS, MEd, is a pediatric physical therapist and the Founder and Director of SNAP. Kathryn Azevedo, PhD, is the Program Director for SNAP Palo Alto and Nancy DeRoche is the Program Coordinator for SNAP Berkeley. A talented group of head instructors runs our classes, while our amazing, well-trained volunteers work with each swimmer one on one. Together they form a bond with our special swimmers and help create the magic of SNAP. SNAP has been honored with the 1999 Tsunami Award for Creativity and Innovation in the Field of Aquatics. Our Director, Dori Maxon, PT, was named 2001 Aquatic Professional of the Year by the Aquatic Therapy and Rehab Institute and awarded the 2004 John K. Williams Award for Adapted Aquatics by the International Swimming Hall of Fame. SNAP has received donations from: the Children’s Support League, Starbucks, CAL Eggster, and people like you. Fundraising efforts help us keep fees low and provide scholarships to our special swimmers. SNAP is a program of United Cerebral Palsy of the Golden Gate, a 501(c)(3), non-profit agency. Donations are tax deductible. We invite you to join us and give a special child a chance to swim. Contact SNAP to become a sponsor!